Big data is no longer just considered as a big or large set of data. Instead, it is more about business-driven data in the use of analytics capabilities for long-term business value. 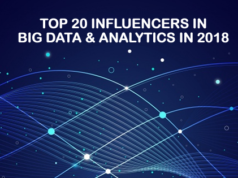 However, the massive increase in the data volume, varieties, and flow of data for analytics showcases that big data trends in 2018 will change a worth amount. In 2017, we have observed engraved big data analysis trends. Not to mention, almost all business domains have adopted big data for business and market analysis purpose. 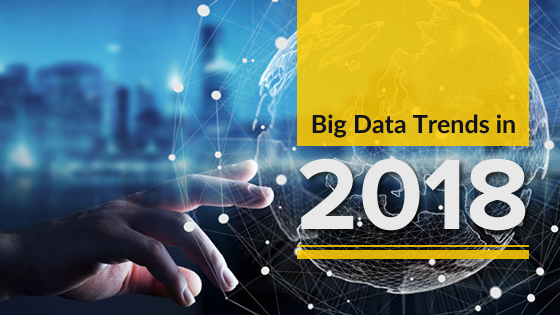 If we look forward to 2018, big data trends show a roadmap towards convergence between other technologies with big data.On the other hand, the rapid adoption of machine learning, artificial intelligence (AI), IoT (Internet of Things), cloud technology with big data analytics will show smarter technological capabilities in enterprise solutions and services in 2018. Thinking to build a career in Big Data domain? Explore our Big Data Training Courses now! Let’s have a look at the big data trends to watch out for in the year 2018. Hadoop ecosystem has matured significantly in 2017 and has already shown its age. With the introduction of Spark in Hadoop ecosystem, users are moving away from Hadoop’s traditional HDFS to alternative data storage solutions like in-memory data caching, multi-model, key-value, object, etc. As a result, 2018 big data trends show a rapid marginalization towards data-lake architectures. Also, this is better suited for analytics work. Moreover, there is an increasing shift of entire big data market toward cloud architecture to store more data for analytic workloads. 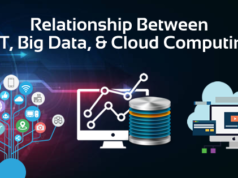 As a part of big data trends 2018 Gartner analysis, it depicts Edge computing in Cloud technology that signifies a more robust cloud service. There will be more use of NoSQL this year. Indeed, it will establish itself as a realistic solution for all types of data. It could be structured, unstructured or transactional data. Inevitably, 2018 will be the start of NoSQL adoption in Hadoop ecosystem. IoT has already shown business that how sensor-based data can be beneficial for business and customer. Hence, more and more companies are investing in sensor-based analytics. With the increased use of smart devices like smartphones, smartwatch, IoT helps in gathering information for analytics purpose. No doubt, the Internet of Things will grow continually and will play as a crux in big data analytics in 2018.Whether it is retail or healthcare, big data trends with IoT will play a key role in improving and reshaping human life. Prescriptive analytics helps business to provide the right solution at the right time and in the proper context. Whether prescriptive or descriptive analysis, big data will play a crucial role in facilitating analytics in 2018. Prescriptive analytics is a combination of analytics and mathematics, thus helps entrepreneurs to make better decisions. As a result, it leads to achieving optimal production levels with enhanced customer experience. In addition to that, cognitive computing with analytics will take big data to the next level. It will help enterprises to take more informed decisions synchronized with coordinated actions. 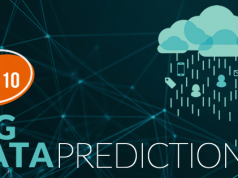 As a result, predictive analytics is going to make a difference in the big data world. Machine learning is growing at lightning speed. Moreover, with the use of automation, the machine learning development has paced up in a significant way. Along with it, there is the introduction of DevOps model which focuses on “model factory” paradigm. Hence, the overall paradigm shift ensures faster processing and analyzing the huge volume of complex data. Furthermore, it will provide more accurate results. Besides that, there will be a great emergence of cost-effective, low-power and high-performance AI chipsets. It will target for edge-based inferencing. It will drive a new generation of machine learning compilers which will integrate with data science development tools. As a result, it will optimize the model for deployment and will streamline the overall processes like never before. Machine Learning will transform businesses through many tasks, like real-time ads, data analysis, fraud detection, etc. Historical data that is stored in the computer for a long time can show the change in business trend. Hence, the digitization and revelation of this historical or dark data are getting emphasized as a part of predictive analytics. Dark data will play a significant role in big data trends 2018 for accurate prediction. Big data trends in 2018 show a convergence of data-science development on an open development framework for AI. It covers a common abstraction layer for the modeling tools such as TensorFlow, Spark, and MXNet, etc. In addition to more development in machine learning, virtually every application and service will incorporate some level of artificial intelligence in it. While handling big data over the cloud, definitely security will be a big concern for organizations. Hence, assuring security in big data handling will be a prime concern of the year. With the more advanced machine learning algorithm, AI will soon be the best defense medium for cybersecurity. It is expected that machine will soon be able to predict human psychology accurately. Big data will play a key role to get innovations in the area of cognitive technologies. It will enable machines similar to human intelligence to perform tasks like face recognization, reasoning, learning and many more. Big data trends 2018 Gartner identification shows strategic technology trends in many common areas of growth. The Blockchain is one of the promising areas where big data will play an essential role in data analysis. The Blockchain is an open ledger which provides the integrity of the ledger. However, it is not for data analysis when dealing with massive data lakes. That’s where Big Data and related analysis tools will come into the picture to analyze real-time, transactional and social data. Interestingly, these types of analysis are essential to uncovering new forms of data monetization. Big data and Hadoop is in a constant mode of evolution. It has helped organizations in business growth. Besides, it opens up a new horizon of growth area for IT professionals with higher pay scale and demand. If you follow our previous blog on Job Trends of Big data Professionals in India, you will get an insight of the professional trends. Big data market will grow more in next ten years. Hence, pace up with the big data skill sets to establish yourself as a future big data professional. Whizlabs is aimed to train aspiring Big Data professionals for the market-leading HortonWorks certifications for Hadoop (HDPCA) and Spark (HDPCD). The training guides are prepared after good research by industry professionals keeping in mind the need for hands-on exercises on data platform. Hence, you will get a comprehensive guide that will keep you one step ahead in your preparation.